Remembering that ReCalibration of a Mis-Wired Allergy Immune System – Takes Time and Can Not be Rushed. 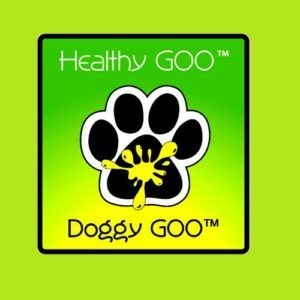 As well as Fully recognizing Doggy GOO in not a “Casual $ Purchase” and Pet Parents would like some “Proof” of Action before moving further into Doggy GOO’s Protocol, it is Requested that Pet Parents ( at the very least ) initially Purchase enough Doggy GOO to take their Animal thru 30-45 Days. Then, based on FeedBack from Pet Parents over the Years, given this Duration, the Pet Parent should be “SEE’ing” appreciable “External” Skin & Coat Improvement, with some mitigation of Major Allergy Symptoms. All of which indicates that the “Internal” Immune System Re-Calibration of the Doggy GOO Process has Begun. Then, given this “Visible” Progress, the Pet Parent will have the Confidence to move further into Doggy GOO’s Protocol 🙂 and complete the STRESSed Phase. Then once the Animal’s Allergy Status has been Doggy GOO GOO Suppressed, Pet Parents are suggested to Purchase enough Doggy GOO to take the Animal into the WELL Phase of the Protocol for an additional 30-45 Days. While it is Recommended that the WELL Phase be continued Indefinitely, if the Pet Parent wishes, Doggy GOO can be DisContinued. “BUT” because Allergy is really never “Cured”, with only “Internal” Tolerance Built to Suppress “External” Symptoms, the Pet Parent Must be on Allergy Alert to the First Signs of Possible Allergy Re-Emergence. After-which, it will be necessary to Resume Doggy GOO once again until the Animal’s Health Status is Back to previous Doggy GOO / Healthy Status. Allergy is a Nasty, Tenacious, Entrenched, Cumulative, Progressive, 24 / 7 / 365 / a Lifetime Chronic Disease. A “Mis-Wiring” in the Immune System. Healthy GOO’s / Doggy GOO Glow / Goal / Strategy is to Naturally / Slowly Leverage the Natural Adaptive Power of the Immune System to ReTrain / ReCaliberate / Build heightened “Internal” Immune Tolerance to 15 Major Enviro Allergy Sources, such that via this heightened Internal Immune Tolerance, “External” Allergy Symptoms are increasingly Mitigated / (dare we say 🙂 ) are No Longer Triggered. As such, this GOO Strategy can not be Rushed & Takes Time. PET Parents are asked to Review Details of the STRESSed Phase ( Approx. 90 Days ) & WELL ( Ongoing Thereafter ) Phase of Doggy GOO’s Protocol to allow correct GOO Planning / Expectations. Often Itchy Allergy Dogs have had a Past History of Heavy Pharma, Steroid Use and/or Antibiotics. If this is the Case, Healthy GOO has found ( in our opinion ) that your Animal’s GUT Biome “May” by Bad Bug Compromised / Dominated. 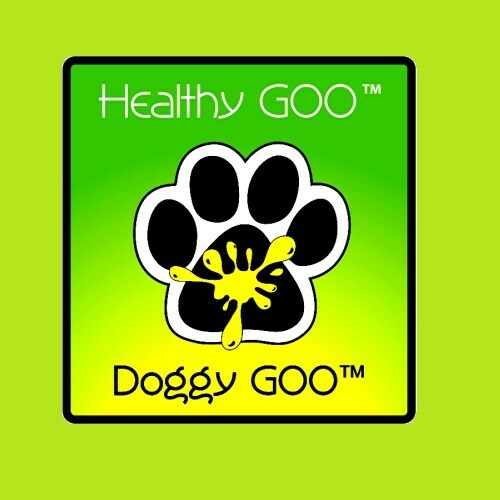 If this Occurs, not only does this condition compromise Daily Food BreakDown / Absorption, but ( in Healthy GOO’s Opinion ) an Out of Balance GUT-Biome can appreciably Impede the Progress of Doggy GOO’s Enviro Allergy Fight. 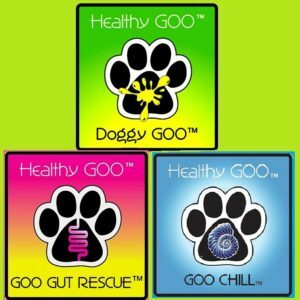 “If ” You feel that this might be the case with your Animal, or if You want to take Pre-Emptive / Pro-Gut-Biome Measures, Healthy GOO recommends that GOO Gut Rescue be Mixed ( @ a WELL Amount ) into the STRESSed Amount of Doggy GOO. This will “Rescue” your Animal’s GUT-Biome and needs only to be continued for 1 Jar of GOO Gut Rescue. After which the Prebiotic & Probiotic in Doggy GOO “should” be sufficient to carry on thereafter. Wishing your Animal a Healthy GOO Glow ASAP as GOO Possible. Doggy GOO – Qty. 1 / 16 oz Container / 90 TeaSpoon / Ctn. For # Serving for your Animal, See Directions for Use.